Instead of £71.00. You save £3.55 due to the online discount . Benefit from a reliable partition for warehouse and production facilities. It divides your hall into useful areas and provides effective protection at all times. With partitions, you decide who can enter your warehouse. They reliably protect your products and goods against unauthorised access. High partitions with an element length of 2200 mm are indispensable in many workplaces. The wall elements with a frame thickness of 20 x 30 mm are particularly stable. They also have a wire thickness of 3 or 3.75 mm. 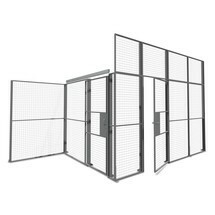 As a result, these mesh panels offer a high level of break-in protection while also enhancing workplace safety. 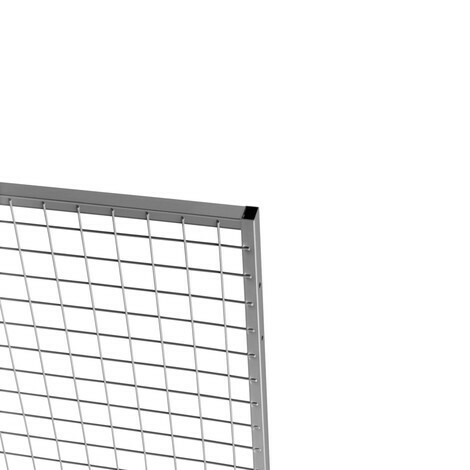 The mesh size of 50 x 50 mm (WxL) makes the panels transparent, which ensures a clear overview of all areas. 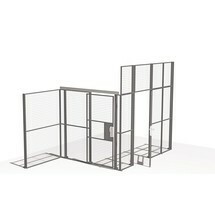 For an additional surcharge, the warehouse partitions are also available in non-transparent, solid steel plate. The surface of the partitions features a hard-wearing powder coating. 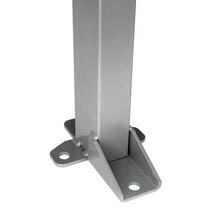 A fire-resistant galvanised finish is also available for an additional charge. Different dimensions are available to allow you to customise the division of storage and production areas to your exact requirements. 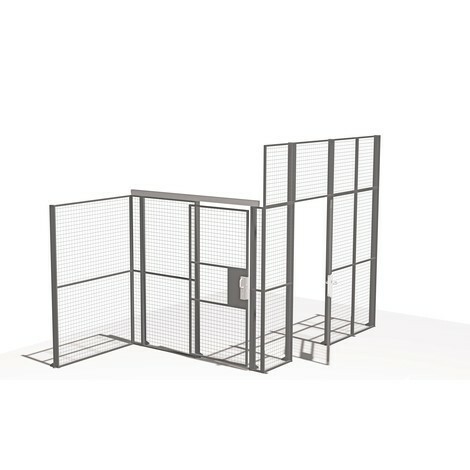 The partitioning system is very easy to assemble and dismantle. This ensures maximum flexibility when configuring your warehouse. 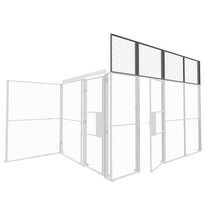 Benefit from outstanding protection and flexible warehouse configuration by ordering the high-quality TROAX® wall element with a frame thickness of 20 x 30 mm from our shop.